Mosaic Monday: A Full Few Days - Jill Ruth & Co.
As I'm sure it has been for most of you, this past week has been a time of family, Christmas prep., and counting blessings. But, "tis the season, right? And speaking of feasting, I'm enjoying a turkey sandwich and contemplating that last piece of pie! I love the photo of you and yours girls - and the boys in the shop! 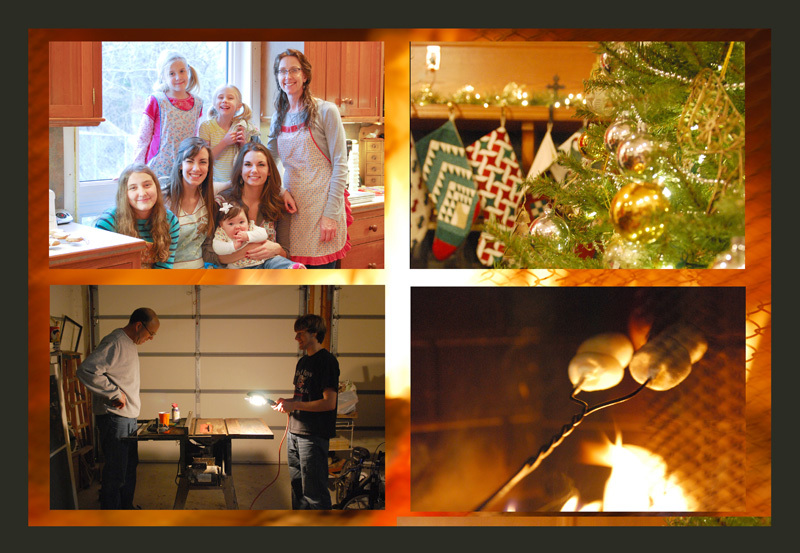 Enjoy the afterglow of Thanksgiving and the preparations for Christmas.